We did it! Our first week of the temporary / possibly new daily block school schedule. The week went pretty much as anticipated with only a few changes from my mental plan. Although it appears this type of schedule makes it easier for us to mentally justify skipping a large section of school time on any given day, we didn't give in and stayed on track during the available portions of each day. 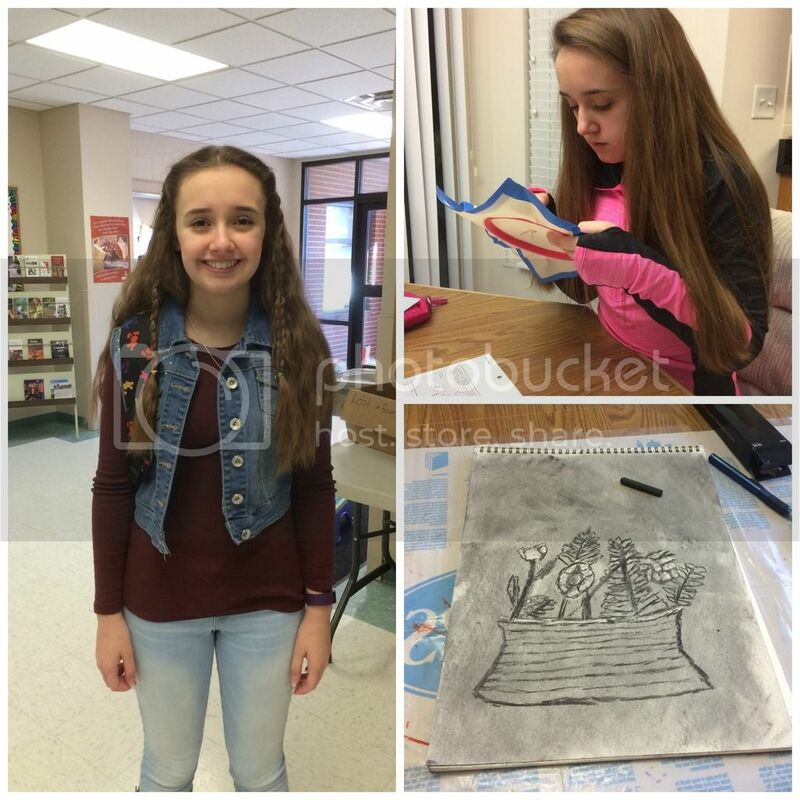 Previously, when Amber was having a symptomatic or sick day we would try to work on as many subjects as we could randomly throughout the day while giving her time to recover her energy between lessons. With scheduling larger blocks of time as one subject, when Amber was feeling overly puny it seemed almost logical to just skip the entire block of time. However, that would have left the day mostly unproductive. Instead, I had to adjust my thinking and suggest either an alternate subject than the one we had planned or give her a little while to recoup some energy before starting her lesson. All this to say, implementing the block daily schedule didn't wasn't as easy as I anticipated, but the results were as desired during our hectic week of appointments. At co-op and working on co-op class assignments at home. Although Amber is quite interested in several genetics related topics, she doesn't actually want even a full semester course in anatomy and physiology. This is where a lovely site we've been reviewing, called HelpTeaching.com, came in. It has been an absolute hit with Amber, which seems somewhat unexpected given her usual preferences. Still, she loves the mix of text and video lessons provided. Since Amber has been having trouble getting back into her Physical Science lessons, I allowed her some time on an alternate science topic. Besides, who said students are required to study each science topic exclusively for a year? As long as I can keep track of her hours, why not let her do some off topic lessons occasionally. This week Amber worked through everything genetics related on HelpTeaching.com and learned all about Punnett squares. We decided to then conduct a blood typing experiment using Eldon card blood typing kits. We did know in advance what Fred and my blood types are, so those were used as a control to ensure the kits worked correctly and we understood the procedure. Amber also worked Punnett squares to predict her own blood type and that of Fred's parents (we know what my parents' blood types are /were). The Punnett squares showed Amber that it was not genetically possible for her to be a match to either Fred's or my blood types (for the record AB- and O+ ... the rarest and most common blood types). 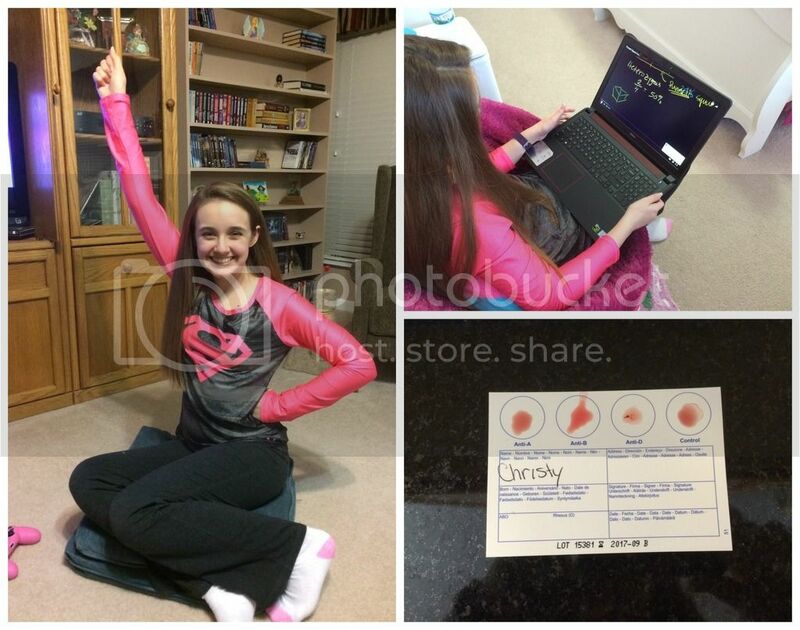 You would think with all the medical testing the child has been through, we would know her blood type. Yet if the doctors have typed her, they never told us. Now we know her blood type, which was basically one of two equal percentage choices. Super Amber working on her genetics lessons. 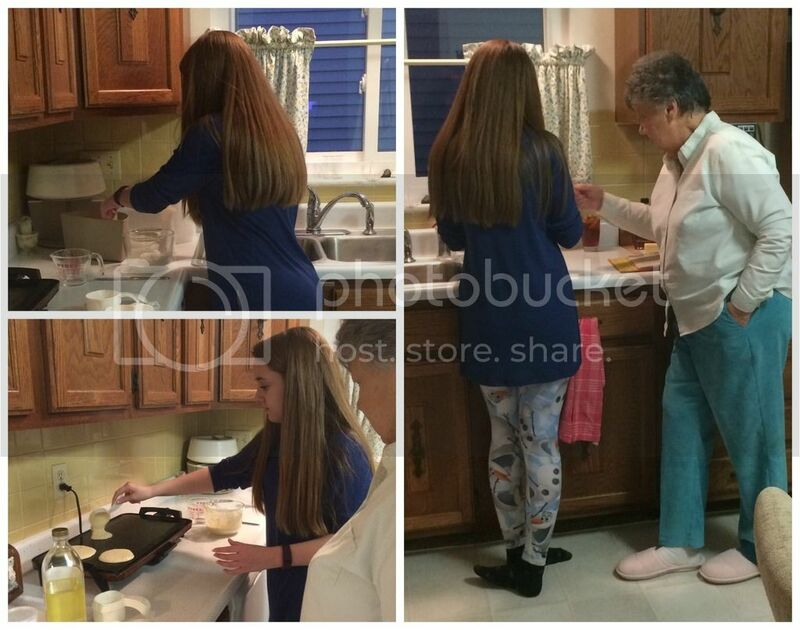 Amber also had a fantastic cooking lesson with her grandma last Friday. I do not have the patience to teach meal cooking, nor do I particularly enjoy it. We started monthly cooking lessons for Amber with my mom, who does enjoy the time with her only granddaughter and is capable of teaching this topic. First up was breakfast (for dinner). Amber made pancakes from scratch along with scrambled eggs and bacon. This is a meal I could never have taught her as I am infamous for my inability to make pancakes. It's really quite astounding how truly awful my pancakes are. Even shake and pour pancakes are barely edible when I'm cooking. Now that Amber can make pancakes, perhaps we will be able to eat that at home instead of restaurants. Each block represents at least 2 hours, if not more. That is the minimum for my block definition, at least as used above. We don't have plans for the weekend except housework and maybe let Fred watch this football game I think is on TV. Next week is another hectic one filled with medical appointments and procedures for Amber, so we will still be on our block schedule. I love doing breakfast for dinner. It quite often happens when my wife is out. I am going to have to do Punnett squares with Philip. My wife and I donate blood so we know our blood types. Philip's we know from treatment. The other two are a mystery. So glad the blocks are working out. I hope you all have a restful weekend. We plan to do some heavy cleaning, but otherwise take it easy. We are rolling into a very busy week. I forgot to say, I loved Punnett squares when I was in school. We should do those soon. Nice to see your pics as always...enjoy the weekend! Well, you accomplished quite a lot for your week, we've switched to a mostly block scheduling and it's worked great for us. The blocks seem like they are working well for you both. Amber achieved loads. I love the picture of her with her Granny. She looks just like my Granny did! It looks like you had quite the productive week to me and Amber looks very happy so I'd say your new way of scheduling is proving to be successful! When my older kids were little, my father got involved and taught them computer programming on his Atari 800!! It was then that He told me (and I was shocked) that he had wanted to homeschool my sister and I but someone in our area had been arrested for doing it. We just found out that my daughter, Rachel is RH- which was also shocking to us! I hope you guys have been having another awesome week! See you tomorrow!